This is a simple to follow step-by-step Recipe for preparing at home sweet and delicious Paneer-Rose Petal Kheer. 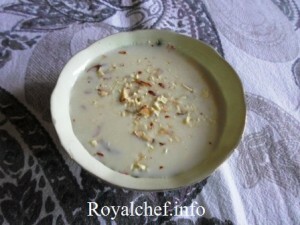 This is a rich and tasty Kheer preparation having a royal aroma. The Paneer-Gulkand Kheer make a great sweet dish for any kind of party. The corn flour and shredded Paneer makes the Kheer thick and mouthwatering. 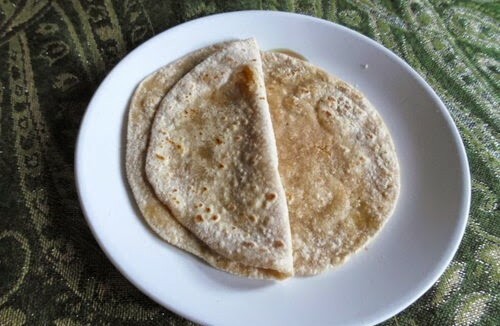 Boil the Milk and then add the Sugar and again boil for 10-15 minutes on a slow flame and then add the Corn flour and boil it for 2-3 minutes and keep it aside until it cools down. Crush the Almonds and Cashew nuts. After the Milk cools down add the shredded Paneer, Rose Petal Jam, Cardamom Powder, Cashew nuts and Almonds and keep it in the refrigerator for 2 hours. Serve cool.While-serving garnish with Dry Fruits.